There are many directions an individual or company can take when it comes to their public relations management. With all the options out there, why not look towards a professional group that can lead you through the myriad of options and solutions? And why not choose a professional group that looks first at your needs, and then offers you customized solutions? 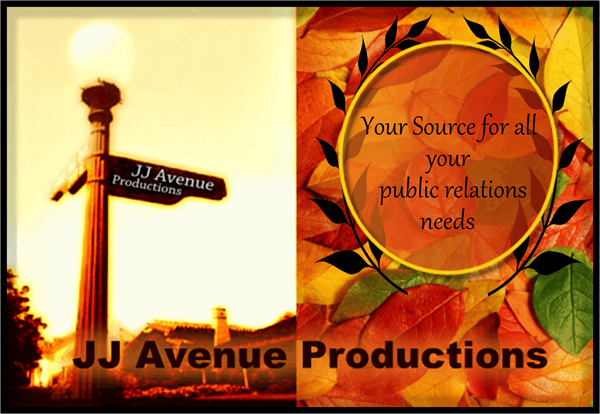 JJ Avenue Productions is company where you can find all of the services you're seeking under one roof. We're a company that takes your public relations seriously. We have a fluency and understanding of the options out there, and have the goals to take your individual public relations representation, or your company's, to the next level. Headed up by media professionals, JJ Avenue Productions has a broad, as well as specialized, menu of services available, to work with you or your company, wherever you are located.